How to find Cigna doctors? 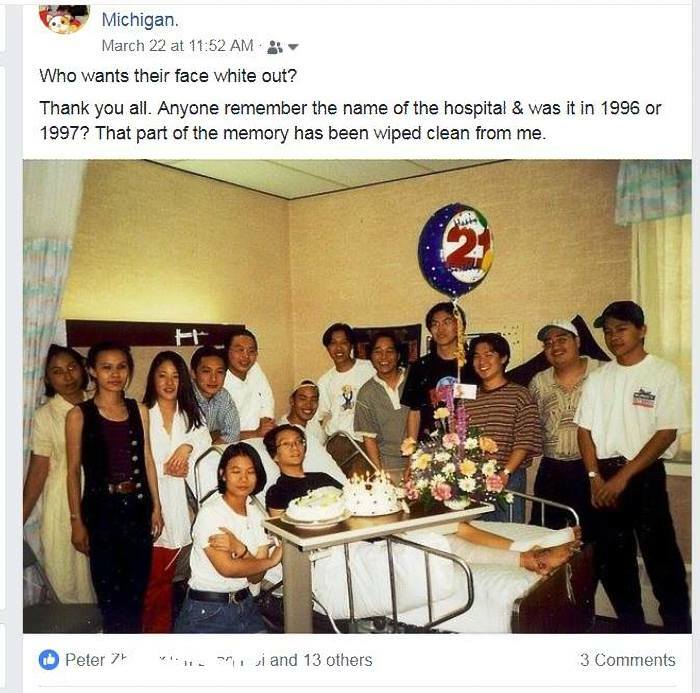 What is In-Network, Out of Network – Hospital, and clinic? 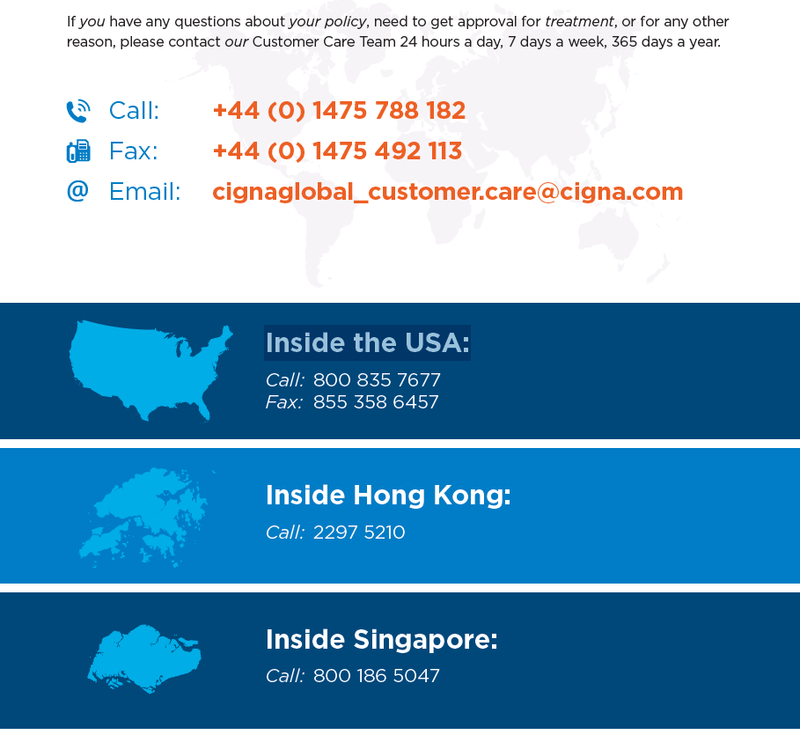 This is a complete guide with highlights that we send out to our client who has bought the Cigna insurance from us. We are a broker company like Insubuy.com (so we could have sold to you many carries i.e. 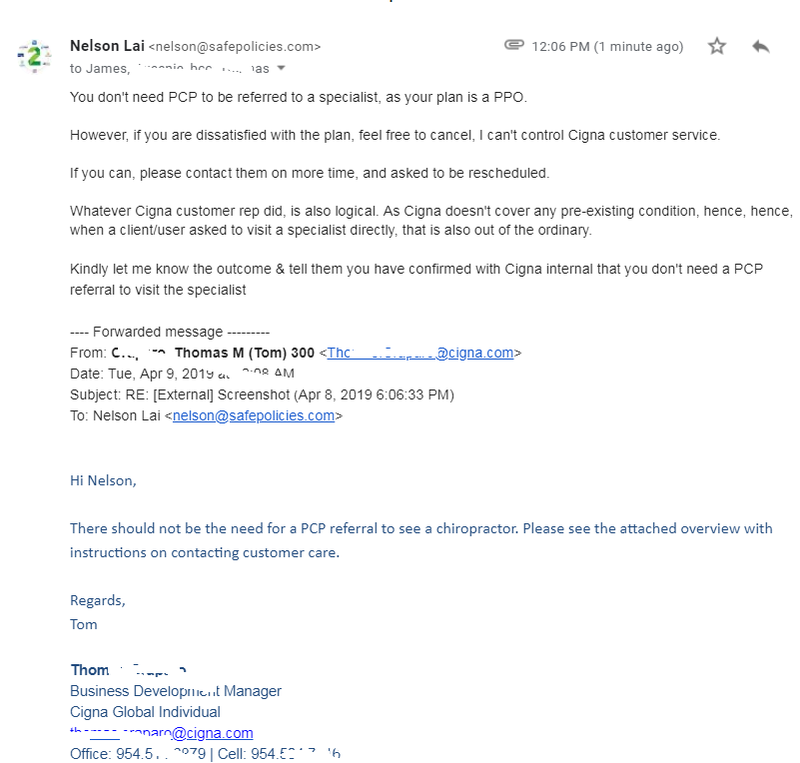 We had sold them, don’t want to comments why we stop selling all of them except Cigna, but Cigna is the only company that we endorse for our individual clients. With the Cigna insurance, you can buy it to see doctors right away (you must call us if there is any pre-existing medical condition) or even use it to deliver babies. 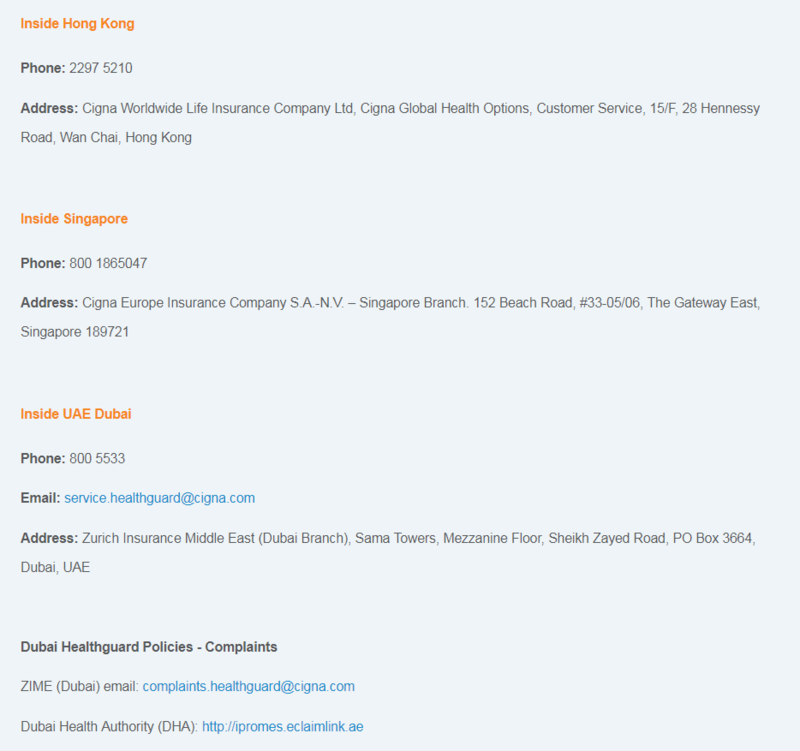 Cigna Global Health Benefits also operates under the Cigna Corporation. Cigna’s motto is ‘Together, all the way. The company ranked No. 73 in the 2018 Fortune 500 list of the largest United States corporations by total revenue. 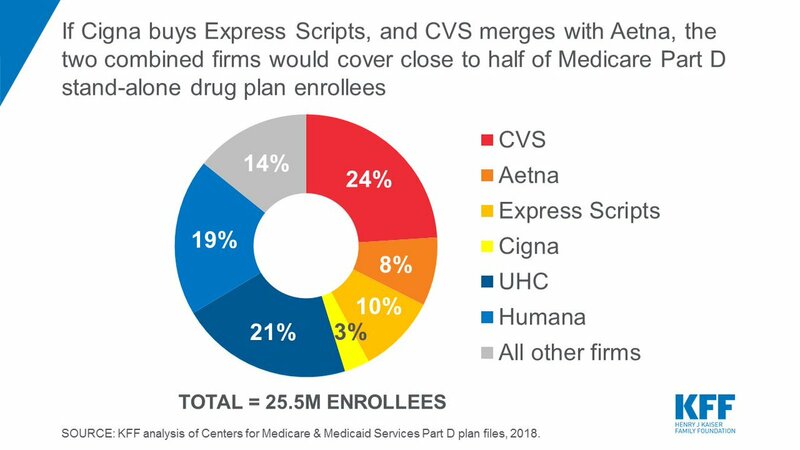 On March 7, 2018, it was announced that Cigna would buy Express Scripts in a $67 billion deal and on August 24, 2018, the shareholders of Cigna and Express Scripts approved the deal. *Express Scripts Holding Company is an American Fortune 100 company. As of 2018, the company is the 25th-largest in the United States by total revenue as well as the largest pharmacy benefit management (PBM) organization in the United States. Express Scripts had 2016 revenues of $100.752 billion. 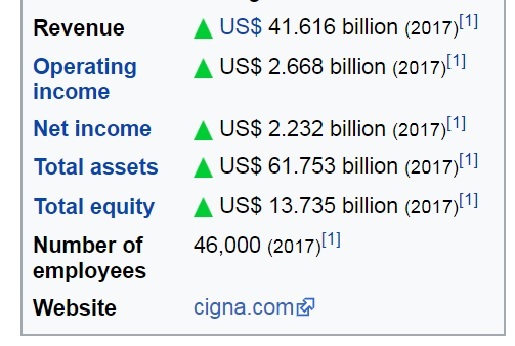 Since December 20, 2018, the company has been a subsidiary of Cigna. Please contact our Customer Care Team prior to treatment. We can help you arrange your treatment plan, and point you in the right direction, saving you the time and hassle of looking for a hospital, clinic or medical practitioner yourself. What’s more, in most cases we can arrange direct payment with your treatment provider, cutting down the hassle and letting you focus on your health. If prior approval is obtained, but the beneficiary decides to receive treatment at a hospital, medical practitioner or clinic which is not part of the Cigna network, we will reduce any amount which we will pay by 20%. 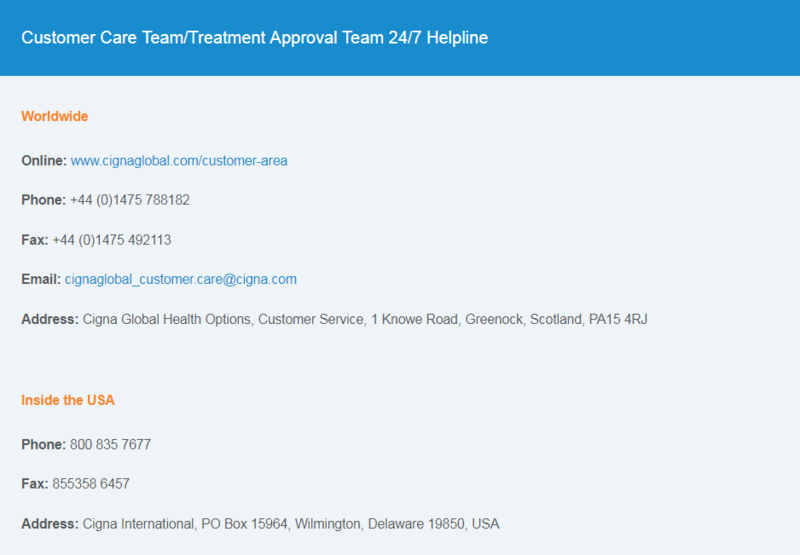 A list of Cigna network hospitals, clinics, and medical practitioners is available in your secure online Customer Area or you can contact our Customer Care Team for more information. Our plans comprise of 3 distinct levels of cover: Silver, Gold and Platinum. Your chosen level of cover is detailed in the table below. 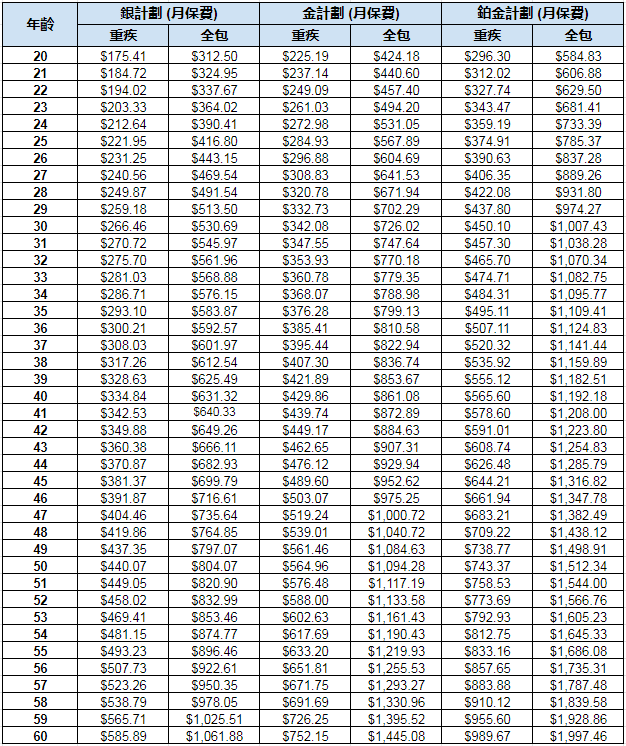 All amounts apply per beneficiary and per period of cover (except where otherwise noted). 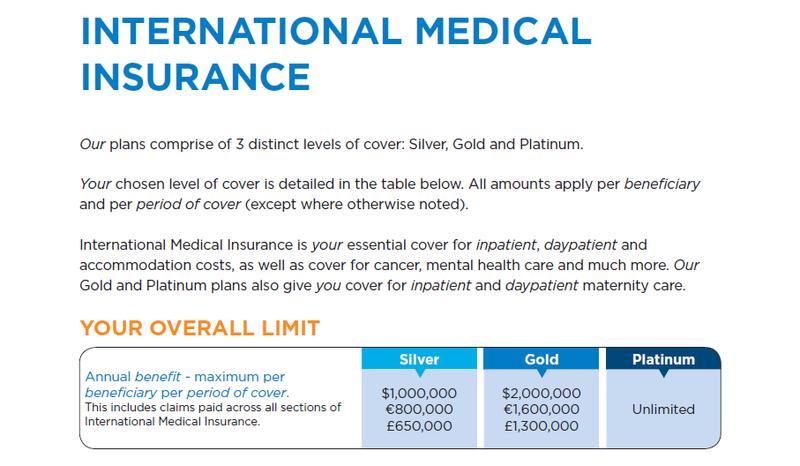 International Medical Insurance is your essential cover for inpatient, dday patient and accommodation costs, as well as cover for cancer, mental health care and much more. 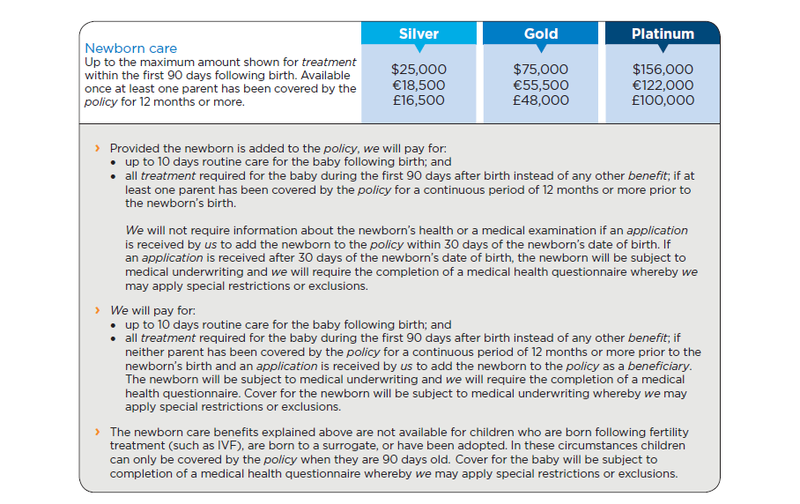 Our Gold and Platinum plans also give you cover for inpatient and day-patient maternity care. › We may require a medical report in advance of a magnetic resonance imaging (MRI) scan. › Following a diagnosis of cancer, we will pay for costs for the treatment of cancer if the treatment is considered by us to be active treatment and evidence-based treatment. This includes chemotherapy, radiotherapy, oncology, diagnostic tests, and drugs, whether the beneficiary is staying in a hospital overnight or receiving treatment as a daypatient or outpatient. › We do not pay for genetic cancer screening. Up to the maximum amount shown for treatment within the first 90 days following birth. Available once at least one parent has been covered by the policy for 12 months or more. › Payable for children at appropriate age intervals up to the age of 6. • appropriate immunisations and laboratory tests; for children aged 6 or younger. • Meningitis; and Human Papilloma Virus (HPV). 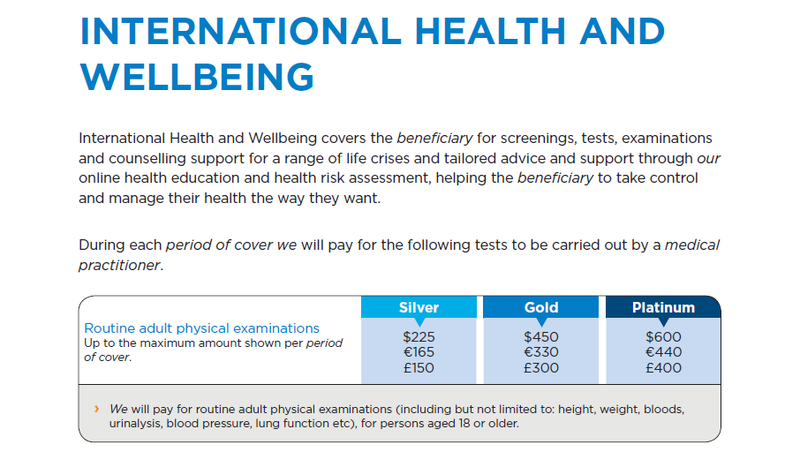 International Health and Wellbeing covers the beneficiary for screenings, tests, examinations and counselling support for a range of life crises and tailored advice and support through our online health education and health risk assessment, helping the beneficiary to take control and manage their health the way they want. 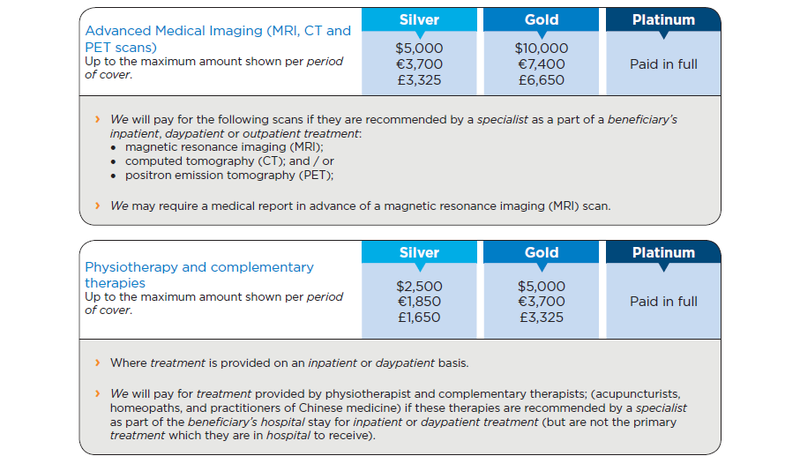 During each period of cover, we will pay for the following tests to be carried out by a medical practitioner. *Cancelling your policy If you choose to terminate your policy and end cover for all beneficiaries, you can do so at any time by giving us at least seven days’ notice in writing.